Our marina’s mission is to provide a safe and fun environment for you and your family; a place where you and your children can build memories for life and pleasant experiences for today. 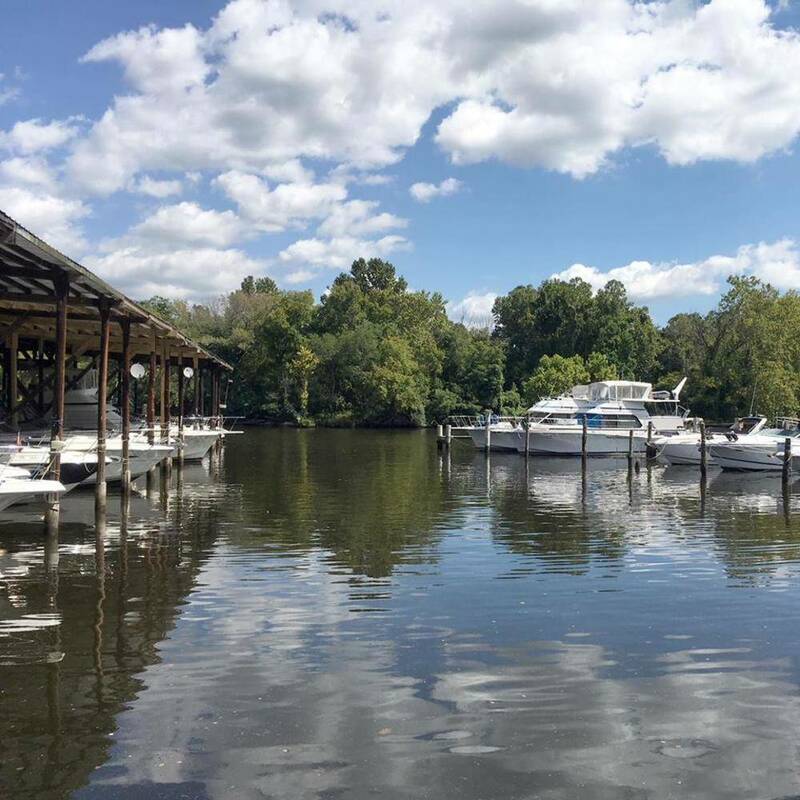 We promise a clean, functional, and professional marina—a place where you will want to boat out of as well as a destination in and of itself. We offer covered and uncovered slips. Covered slips make up for what they cost in reduced maintenance to your boat. 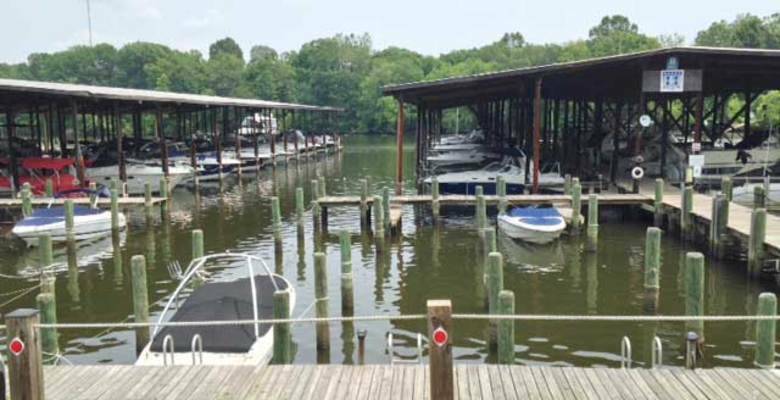 Our marina can accommodate boats up to 50 feet LOA. Unlike many marinas, we have a full-service yard with factory-certified mechanics on the premises. Coconut Joe knows that people who keep their boats at our marina find it very convenient to be able to simply leave a set of keys with us and call if their boat needs servicing. We also accept service jobs from boaters who have not purchased from us. For those who prefer to keep their boats in a boatel, Hoffmaster's Marina has a relationship with Tyme N' Tyde Marina, which provides outstanding service at reasonable prices and is just a few miles away. Hoffmaster's Marina is wired for WiFi. This service is included in the slip rental and there is no upcharge. Click here to download the user agreement and then either drop the form off at the marina store or email it to [email protected] Please be sure to sign it and include your email address so that we can update you when the password is changed periodically. We rent monthly, nightly and weekly subject to availability. We are located next-door to Prince William Marina's electric palm restaurant which offers live music on the weekends, a full-service bar and a full-service restaurant. This is a five-minute walk from our marina. A 15-minute walk will get you into the town of Occoquan where you'll plenty of shopping, places to dine, and live entertainment. Many restaurants deliver to our marina.